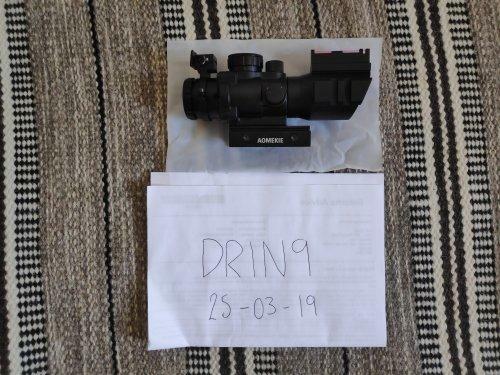 For sale is an Aoemekie ACOG Scope, features Red, Green & Blue with 4x magnification. Will come with a battery fitted. I can throw in a Nuprol killflash for an extra £6, however it’s not easily threaded and is best fixed with a small amount of black tape or glued if you wanted to. The scope itself is in mint condition, just surplus to requirement. 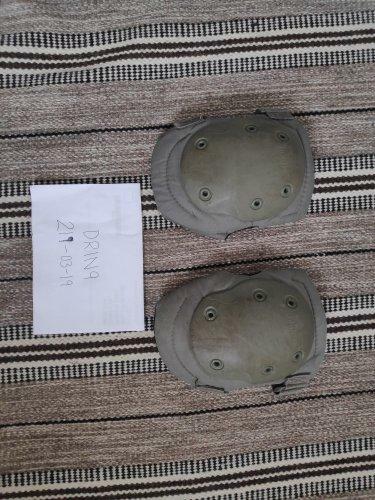 For Sale are (2) pairs of genuine ex-army kneepads. I still use a pair myself and they are excellent quality, really comfortable and so durable. I am just shifting on my spares. £9 a pair, £3 postage 2nd class royal mail (can improve at buyers cost). Cyma AEP Full/Semi auto glock, really nice to have an AEP in typical UK weather, the pistol has a really good weight to it. A brilliant sidearm that has had -100 shots through, mint condition. 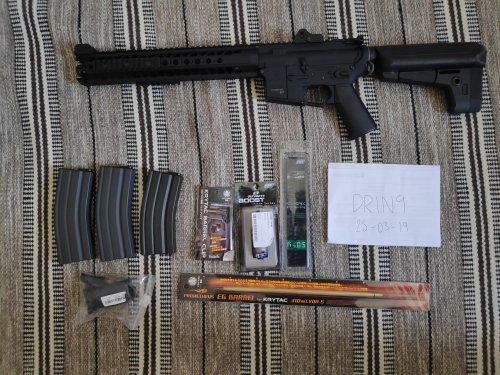 Included are two mags (not cheap! ), original box and one battery/charger. Upgraded Krytac LVOA-S + Glock Bundle! Cheap! 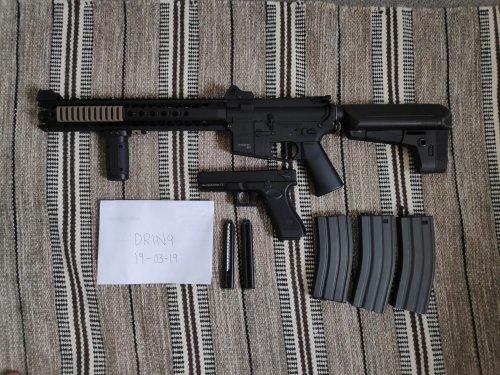 For sale is a 6 month old, Krytac LVOA-S, upgraded as follows: ASG Ultimate Boost Motor (£30) Prometheus Tight Bore Barrel (£59.99) ASG Ultimate M105 Spring (£10) Last time this was chrono’d (2-3 weeks ago) it was a consistent 348-349 fps on o.2’s. Truly a brilliant machine, with excellent consistency. The gun will include the rail covers, ASG EVO iron sights and a cheap fore grip (not the one pictured). The gun will be sent in its original box, including all the stock parts that were upgraded and original iron sights etc. Included are 2x Metallic Grey 120 Mid-Caps & 1x original Krytac Hi-Cap. 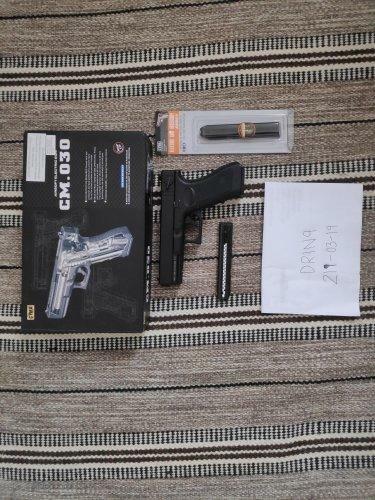 Included also is Cyma AEP Full/Semi auto glock, really nice to have an AEP in typical UK weather, the pistol has a really good weight to it. A brilliant sidearm that has had -100 shots through. 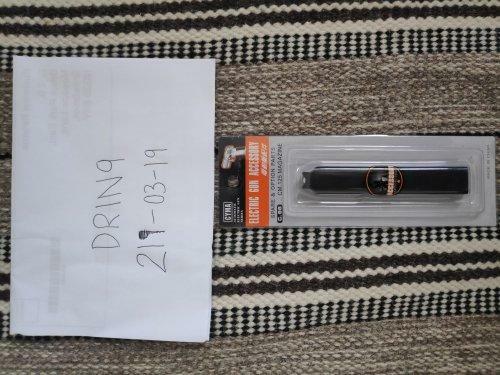 Included are two mags (not cheap! ), original box and one battery/charger. 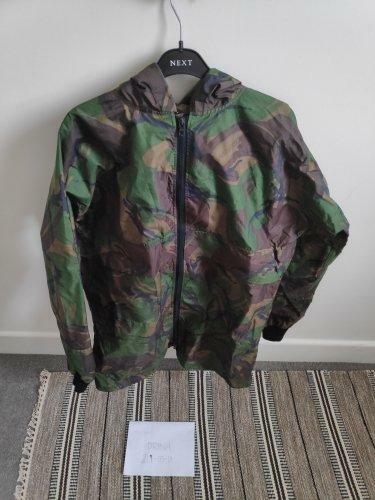 In no rush to sell, genuine reason for sale.